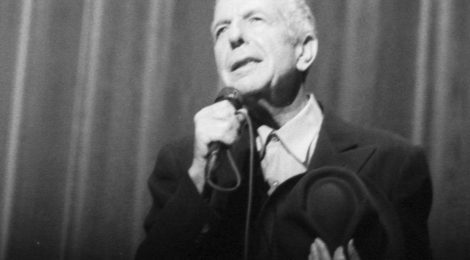 Legendary poet, songwriter, novelist, and musician, Leonard Cohen died in November 2016. Known for his melancholy tones, as well as his thought-provoking and deeply emotive writings, Cohen’s work often conveyed the depth and authenticity of the human experience. His piece The Only Poem speaks directly to despondent readers, offering them compassion and hope through their darkness.